Burtynsky has devoted 30 years to photographing some of the world’s largest industrial operations. His vast repertoire includes the mining, quarrying, ship-breaking, oil, rail, and recycling industries. 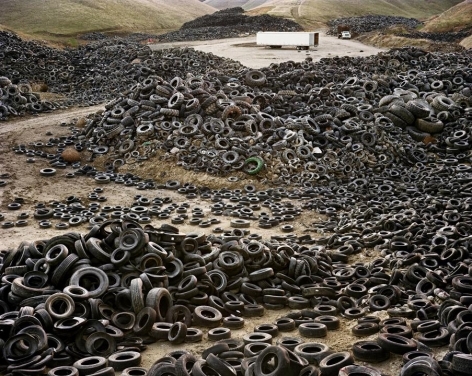 In the Oxford Tire Pile series, for instance, Burtynsky explores a canyon of 40 million cast-off tires in California. 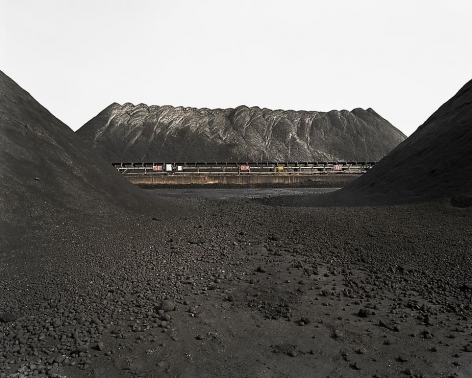 Meanwhile, his Bao Steel series uncovers a surreal landscape of coal piles on the banks of the Yangtze River, Shanghai. Venturing inside these mammoth sites, Burtynsky gives us access to places that lie outside our everyday reality but provide the commodities that sustain our day-to-day existence. Using a large-format viewfinder camera, with 4- by-5 inch and 8-by-10 inch film, Burtynsky creates remarkably lucid images. His prints immerse viewers in vibrant landscapes with a rich concentration of detail. Through a careful understanding of light and optics, he composes somewhat flattened spaces where each element within the frame is given equal weight. 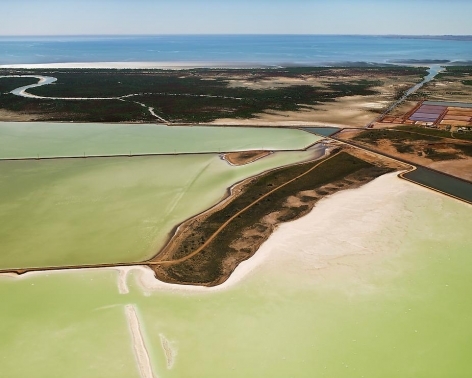 The effect can be slightly disorienting and the scale of the landscapes ambiguous. However, once you step closer and identify a recognizable detail—such as a tree or a person—you instantly reconstruct your understanding of the space. For Burtynsky these small details are essential as they lure us inside the image and allow us to imagine ourselves within the environment. 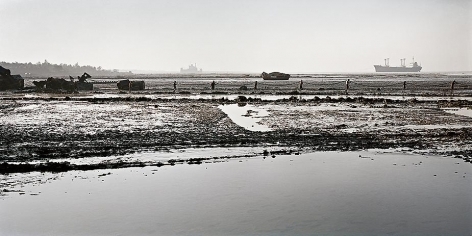 Before shooting, Burtynsky carries out thorough research on his locations. He reads extensively, studying everything from novels to government reports. Once he arrives, he works at dawn and dusk, which he describes as “the shoulder times.” Often, he shoots on overcast days. 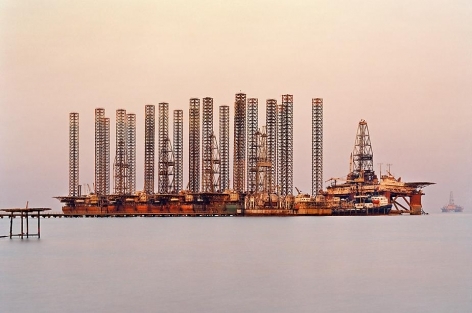 Relying on his surroundings, Burtynsky uses natural “scaffolding” to position his tripod at high vantage points. When working on his India series, he mounted his camera atop a 50-foot pole and worked remotely from a computer on ground level. 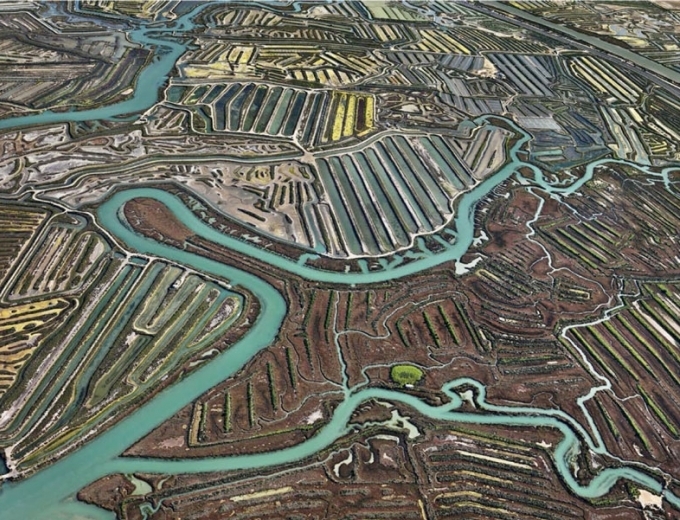 Recently, while shooting his Australia series, Burtynsky began photographing with a digital camera from a helicopter. What results from such heights are compelling, vertiginous compositions with a monumental effect. 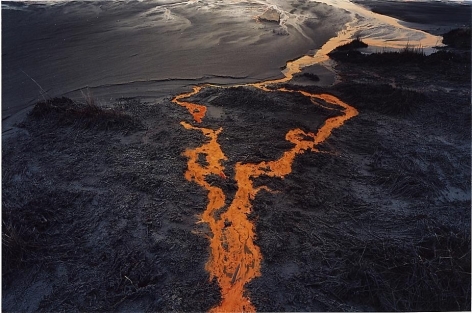 Burtynsky began photographing nature in the early 1980s. His early works were intimate explorations of Canada’s unspoiled landscapes. By the late 1980s, however, he turned away from the quickly disappearing natural terrain. He realized this was the world that we were losing not the one we were to inherit. Instead, he reflected on his own experience working in the mining and automobile industries. Gradually he began to investigate industrial incursions into land with arresting results. 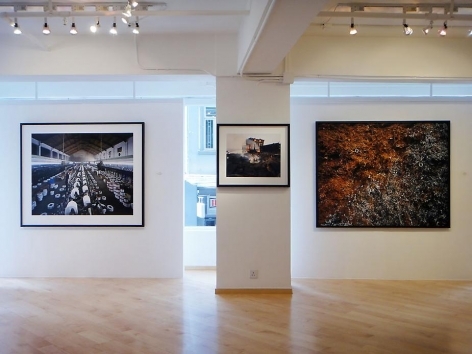 Edward Burtynsky’s works are in the collections of more than fifty museums worldwide, including the Museum of Modern Art, New York; Bibliothèque Nationale, Paris; the Solomon R. Guggenheim Museum, New York; Albright-Knox Art Gallery, Buffalo, NY; the Victoria and Albert Museum, London; Reina Sofia Museum, Madrid; and the National Gallery of Canada, Ottawa. Burtynsky was recognized with a TED award in 2005. The following year he was named an Officer of the Order of Canada, the nation's highest civilian honor. 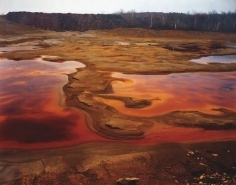 In 2007, Burtynsky was the subject of the award-wining documentary Manufactured Landscapes screened at the Sundance Film Festival. 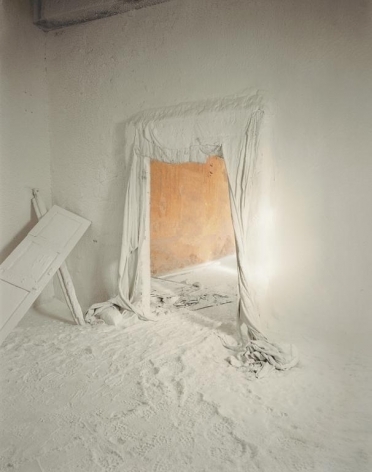 He holds three honorary doctorate degrees and his distinctions include the Outreach Award at the Rencontres d’Arles and the Applied Arts Magazine book award. Burtynsky lives and works in Toronto, Canada. 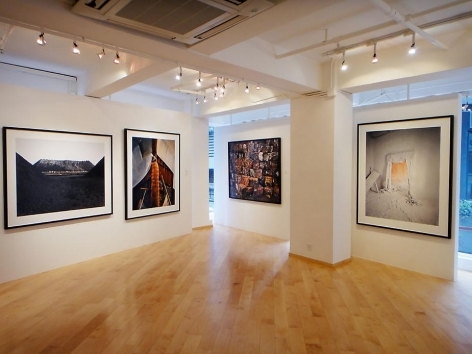 For more information please email hongkong@sundaramtagore.com or call 2581 9678.